I’ve already given you fantasy football pickups from Week 9, but we’re always looking to do more for you, the reader. So, with Week 10 looming large, we’re back to help you keep your fantasy football team competitive, this time with a special mid-week edition! The Chargers just can’t catch a break. After losing Keenan Allen to a lacerated kidney, and Ladarius Green, and Brandon Oliver to injury, they could hardly afford yet another injury on the offense (and that’s not even counting all the injuries on the offensive line). But then veteran WR Malcolm Floyd went up to catch a pass in the second quarter of Monday Night Football and came down with a terrible injury. And now we know he’s likely out for the remainder of the season, though seeing as how this is Floyd’s last season, he’s at least said that he intends to rehab and attempt to play through it. Regardless, at least for the foreseeable future, Stevie Johnson is the WR1 and Dontrelle Inman is the WR2. Inman hasn’t shown us much, but there’s a convenient bye week upon us that will give Philip Rivers an opportunity to build a connection and for Inman to become a more proficient route runner. Honestly, the Chargers are a team that throws the ball more than any other team in the NFL with a whopping 329 passing yards per game. 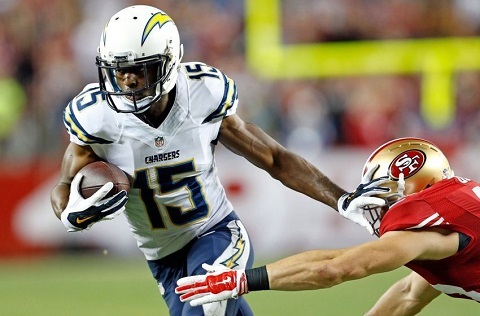 And not all of that is going to be Antonio Gates, Danny Woodhead and Stevie Johnson. Grab Inman as a WR4/Flex with upside in all 12-team leagues and deeper. White is in his second year as a backup who was originally drafted by the Patriots in the 4th round and was actually a healthy scratch in Week 9. But if anyone can make an underperforming RB an out-of-nowhere success, it’s Bill Belichick. 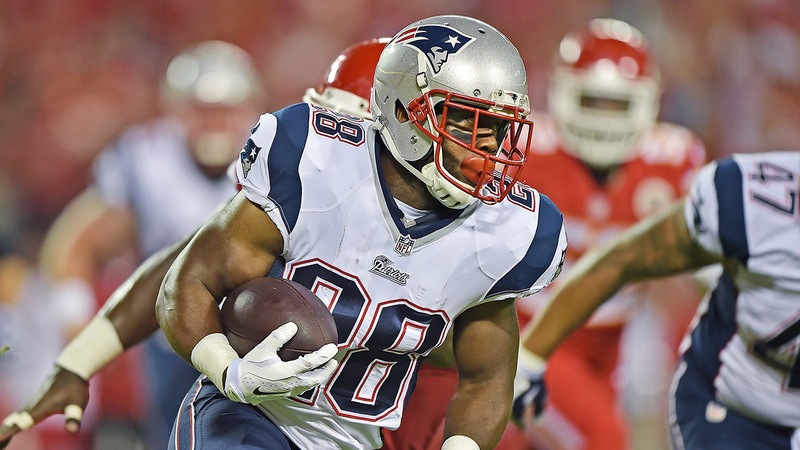 I doubt White will be another Dion Lewis, but being the passing back in a Patriots offense is worth the speculation. I still like Bolden in all 14-team and deeper leagues, but now prefer White in 12-team and deeper leagues, again with emphasis on PPR leagues. So it may be time to look elsewhere, as the fantasy season ends in 7 weeks, meaning by that time, the Colts may have clinched the crummy AFC South and Luck may just be sitting out and getting ready for the playoffs. In steps Matt Hasselbeck. Hasselbeck is no great shakes, but he did win two starts for the Colts earlier in the year totaling 495 yards with 3 TDs and no interceptions. He also has the bye week to get the offense under control and has a decent schedule coming up after the bye vs. the Falcons, Buccaneers, Steelers, Jaguars, Texans and Dolphins — only one of which has a defense (Falcons) that’s even in the top half of the league against QBs for fantasy purposes. 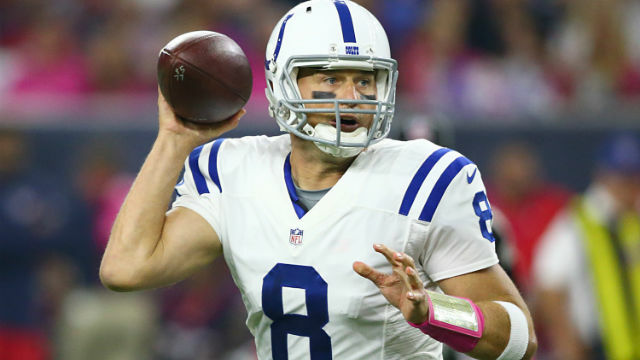 Hasselbeck is worth a look in 14-team 2 QB leagues and deeper. IF Latavius Murray doesn’t complete the concussion protocol, I mentioned that I didn’t really like any of the options in the Raiders backfield. But IF you’re really desperate in a 16-team league or deeper, particularly with all the teams on bye in Week 10, then Marcel Reese and Taiwan Jones may be worth consideration. I’d prefer Reese in PPR leagues, and Jones otherwise, but like I said, you need to be desperate to look here.